Everyday carry doesn't have to be just boring, plain tactical knives. 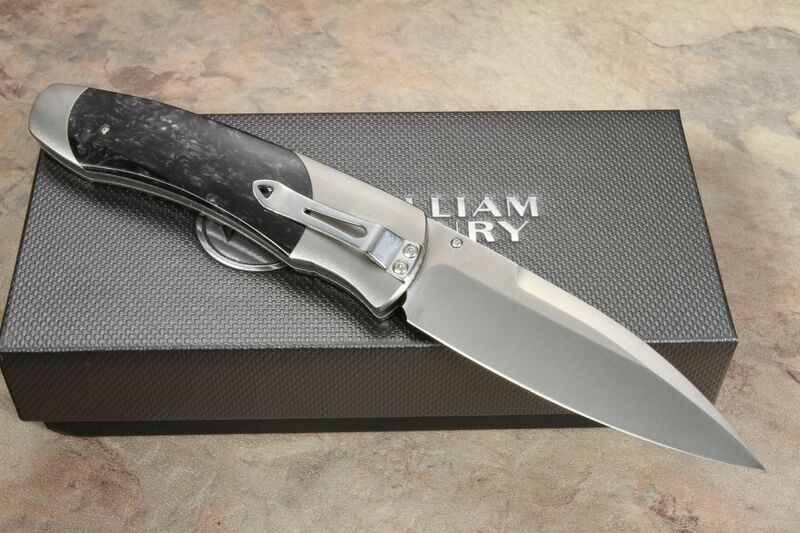 William Henry has been making heirloom quality blades, respected by collectors, knife enthusiasts, and EDC practitioners for years. 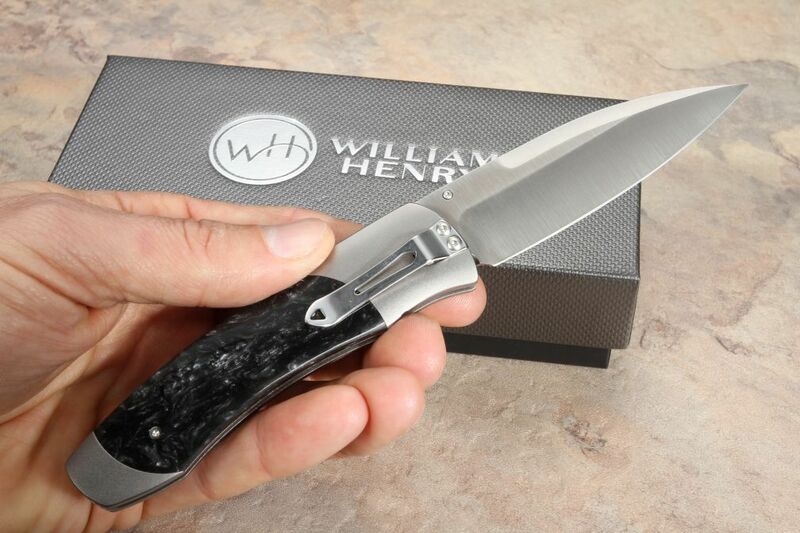 Sleek and stylish, yet functional and effective, the A-300-1 is the largest of the A-Series family of William Henry Knives and priced at $450, it is a blade you will not want to pass up. The A-300-1 is a 7" overall length when opened and features a 3" long CPM20-CV stainless steel blade. The blade length will provide you with ample length for most everyday carry utility needs. This tool steel is remarkably strong and hard, due to some of the highest chromium content of a vanadium stainless steel stock. With a Rockwell hardness of 58, this blade will keep and hold a razor-sharp edge cut after cut through all kinds of weather. The blade opens with the help of a thumb stud and stays locked in place with a push-button locking mechanism. The handle is crafted from aircraft grade titanium, which is a special blend of titanium, aluminum, and vanadium for additional strength. 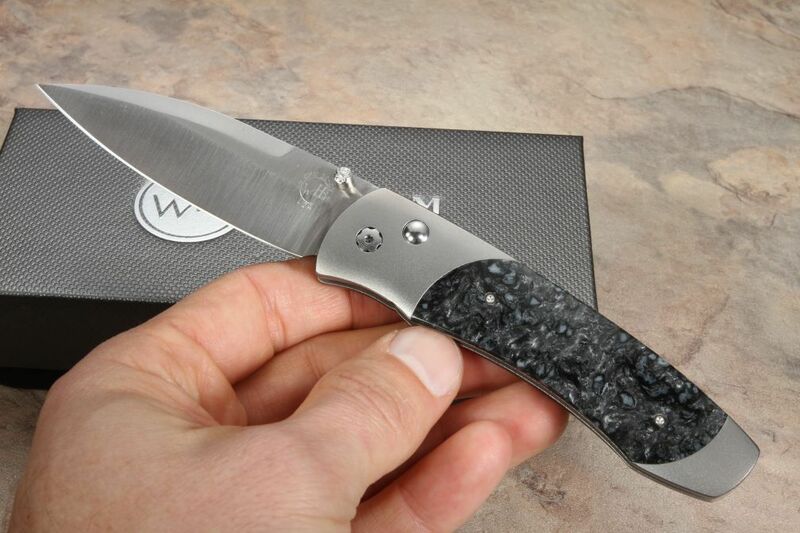 The Kirinite scales are as durable as they are beautiful, giving your knife a unique look that is sure to catch attention when you are looking for it. The stainless steel clip allows for tip-down deep pocket carry. This knife will be just as effective in your pocket or tactical gear pouch as it is admirable in your display case at home. Don't let its looks fool you, this isn't just another pretty knife. It is an heirloom quality piece of art, built in the USA to last a lifetime. 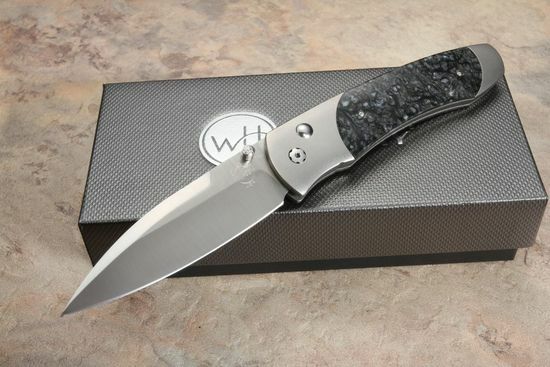 As an authorized dealer of William Henry Knives, Knifeart.com stands behind its curated pieces and offers a satisfaction guarantee. 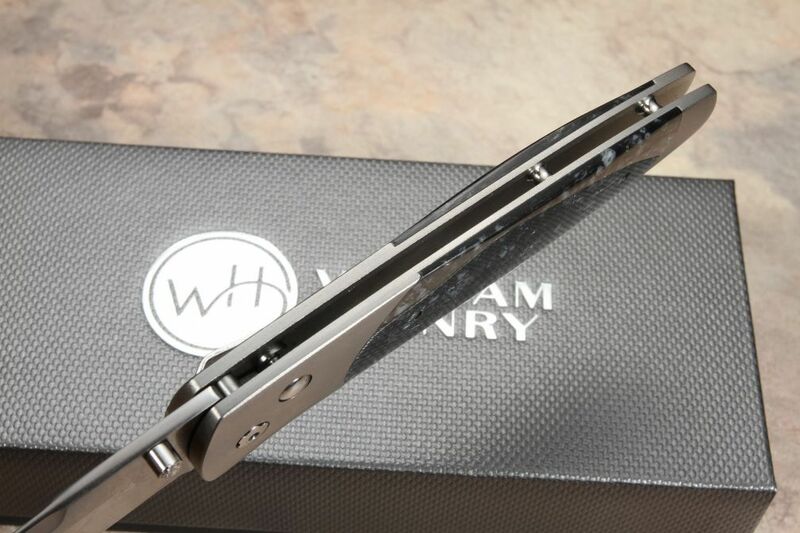 If you don't simply love your William Henry knife, return it for a full refund, no questions asked, and you will not be charged a restocking fee. 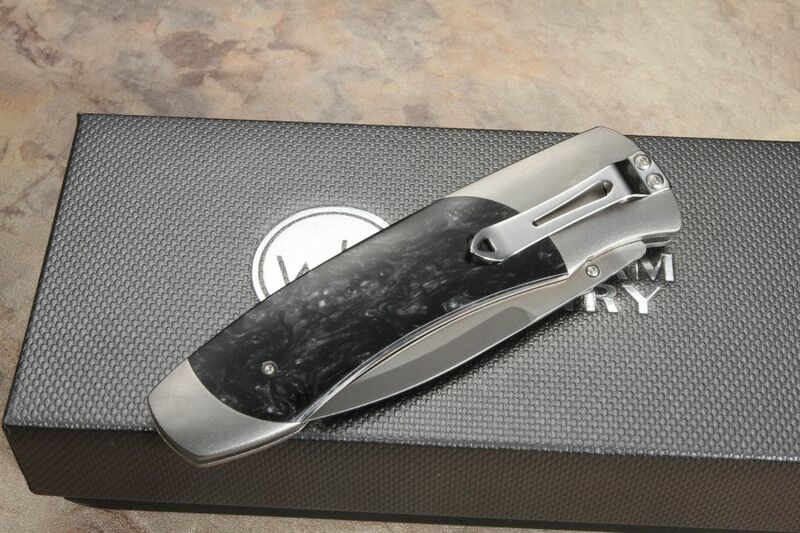 Knifeart.com also provides fast, free shipping within the USA.